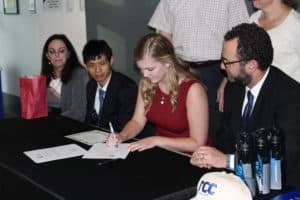 Engineer Signing is a fun event for high school seniors who are committing to study engineering in college. Students from schools all across the Tulsa area come together to sign letters of intent with representatives from their chosen college. 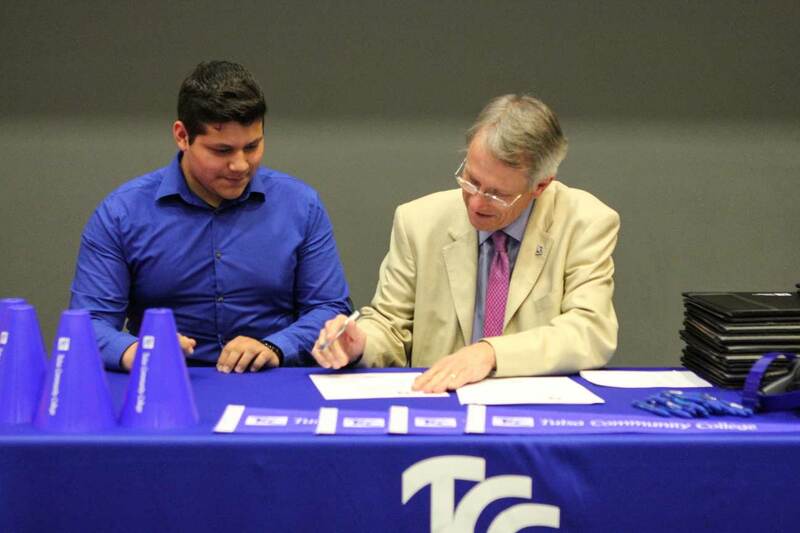 The signing covers majors such as aerospace engineering, architectural engineering, biomedical engineering, civil engineering, computer science, computer engineering, fire and emergency services, mechanical engineering, petroleum engineering. Because signing day isn’t just for the athletes. 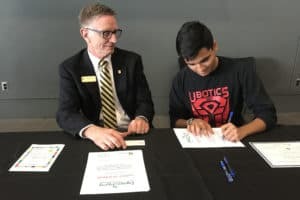 This year, we’re teaming up with the Tulsa Engineering Foundation to host the Engineer Signing during their annual Discover-E Engineers Week Breakfast. Students will have the opportunity to hear panels of professional engineers, network with engineers in the community, and discover future career opportunities. Teachers are asked to nominate students. We’d like teachers to provide a good contact email or number for the student(s) so we can then reach out to the student(s) to send them an invite. The students and parents will receive an invitation promptly following their nomination.